100% Pure BEEF PATTIES! These are scale brake rotors that add an additional 4.3 ounces of weight to your rig. 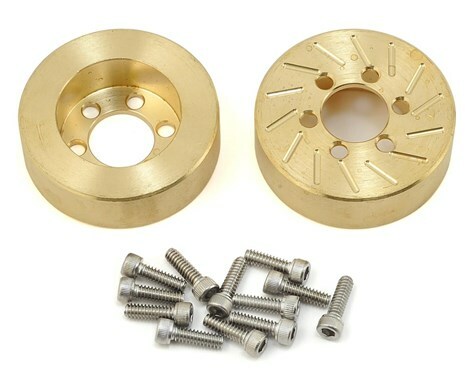 Machined form solid brass and can be painted or powder coated. Sold in pairs so you will receive two BEEF PATTIES with each order. 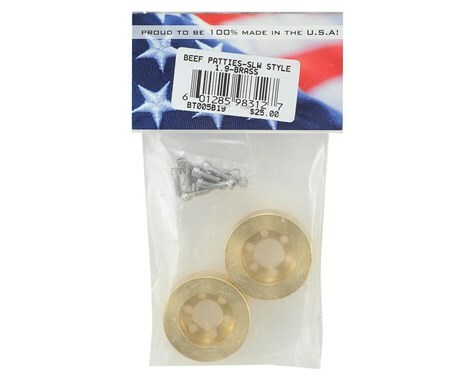 *These are tested to fit Locked Up RC 1.9" & 2.2" SLW style wheels. Please check compatibility with other brands of wheels. A minimum SLW Hub size of 350 is required for the front wheels if you are running Wraith knuckles.